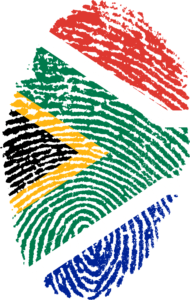 Achieving South African citizenship, when immigrating to South Africa, is often a ‘three step’ process. An immigrant cannot simply apply for citizenship straight away but must first hold permanent residency. As permanent residency can take up to 30 months (in some cases longer) to achieve, immigrants mainly first apply for temporary residency, whilst waiting for their permanent residency to be approved. For people who are citizens of another country but want South African citizenship she or he can apply to the Minister of Home Affairs for citizenship. Must have lived in South Africa with that permit for at least 5 years before applying for citizenship, and one of those years must have been the year before making the application. The other 4 years must have been within the 8 years before making the application. This 5 year period can be shortened to 2 years if the person is the wife or husband of a South African citizen. Please note an application for citizenship can be refused by the Minister even if the person seems to fulfil all the conditions. It is not a right but a privilege. For South Africans that have emigrated to another country and subsequently taken up citizenship of that country, there is often confusion as to whether they are still citizens of South Africa. This can depend on whether disclosure to the Department of Home Affairs was made at the time of applications for citizenships in other countries, what undertakings were made to the country they were obtaining citizenship from and under what circumstances this citizenship was applied for.